Tips to Help you Stay Sober, Healthy & Happy this Holiday Season! 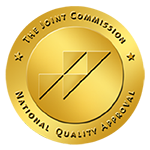 Parties, dinners, and other social gatherings can all make maintaining sobriety more challenging during the weeks between Thanksgiving and the New Year. One recent study prepared by AAC found that for those recovering from addiction, feelings of stress, anxiety and depression — all potential triggers for relapse — are more common during the holidays. That study also found that roughly 29 percent of Americans drink more during the holidays, and while that may be brought on by celebration, research has found that there is a strong link between the over-consumption of alcohol and depression. With a little preparation, a happy, fulfilling and sober holiday season is much easier. 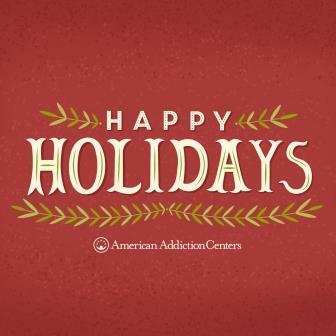 Here are 10 tips from AdCare’s parent company, American Addiction Centers to help you stay sober during the holiday season. Use the buddy system: Bringing a sober friend to holiday parties is a great way to support each other. BYO drinks: Packing seltzers or sodas will ensure you can have non-alcoholic options and also prevent others from offering you a drink. Have a getaway plan: Prepare ahead of time to be able to leave a party if you’re feeling tempted. This often means driving yourself so you can leave as soon as you need to. Stay healthy and happy: Limiting the amount of unhealthy foods and treats you eat will keep your body healthier but also have a positive impact on your mental well-being. When you feel good about yourself, you’re less likely to reach for a drink. Be prepared for questions: It’s inevitable that people who don’t know you’re in recovery will ask why you aren’t drinking. Be prepared with a response that allows you to reply quickly and avoid temptation. Be smart about which events to attend: You don’t need to go to every party, especially those where you know you might feel triggered. Help others: Getting more involved in a local nonprofit or community group or even simply being a friendly neighbor to someone in need are all great ways to keep the holiday spirit without drinking. Remember and look for other ways to celebrate such as through a sober meet-up group. Stay busy: The holidays are often seen of as a time to take it easy but by keeping busy, you will feel less inclined to drink. Going for walks or to the gym, taking up a new hobby, reading a book or cooking are all great ways to remain active. Communicate: Tell those you trust that you’re in recovery. If you are honest with the people around you, they can help support you. If you’re feeling overwhelmed, don’t be afraid to reach out and ask for help. If you or a loved one is struggling with addition, call 1-800-ALCOHOL.